Posted on September 14, 2018 Author TeriLeave a comment on Tiddlywinks Celebrates 10 Years! We have some more exciting news! 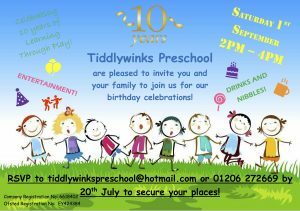 This year, Tiddlywinks has been open for ten years!!! 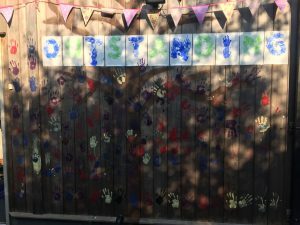 To celebrate, we are planning a big party for all past and present children, families and staff. This will be on Saturday 1st September from 2pm till 4pm at the preschool. 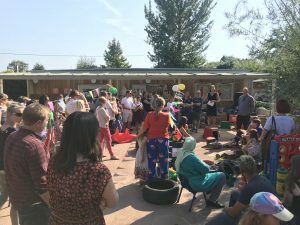 If you would like to come along and help us celebrate please contact the preschool to let us know, and we look forward to seeing you then! Posted on July 3, 2018 August 19, 2018 Author TeriLeave a comment on Tiddlywinks 10 Year Anniversary! 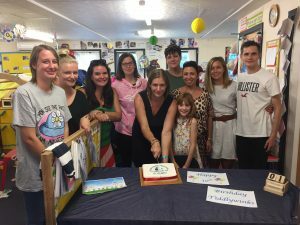 We open our brand new website with some exciting news……from September 2017 Tiddlywinks Preschool will have spaces available for children from 12 months old! We will also be opening all year round (days during school holidays must be pre-booked) and will be offering flexible drop off times (8.30am to 9am) and flexible pick up times (4pm to 5pm)!!! 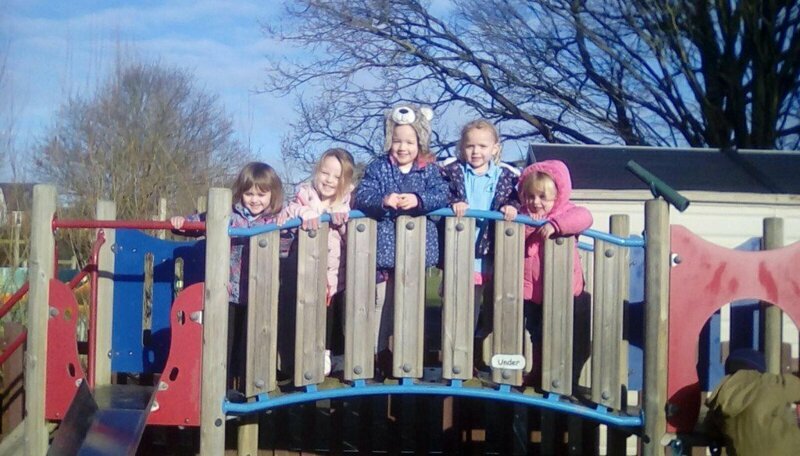 If you are interested in your child starting with us at Tiddlywinks, especially now we are lowering the age to take children from one year old and extending our opening hours, please contact the preschool to see what childcare spaces we have available! Posted on July 9, 2017 February 22, 2018 Author Helen TaylorLeave a comment on Welcome to our new website!! !